New Yorkers, not to mention architecture critics, have been waiting with bated breath to see the plans for the controversial $300 million overhaul of the New York Public Library’s historic flagship branch on Fifth Avenue. And today, the designs by Foster + Partners, were finally unveiled. 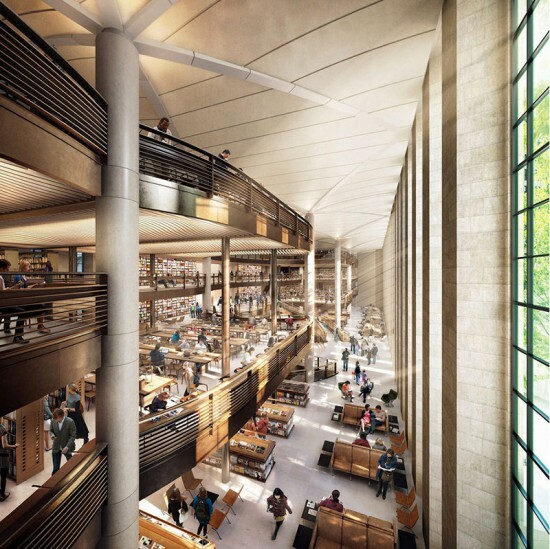 The renovation of the Beaux Arts-style library, completed in 1911 by Carrère and Hastings, will remove seven floors of stacks under the grand Rose Main Reading Room to make way for a 300-person workspace with an expansive atrium, balconies, floor-to-ceiling windows, bookshelves, and new areas devoted to classrooms and computer labs. As of now, interior finishes will include a combination of bronze, wood, and stone. The plan is to transfer approximately 3 million books to new storage spaces beneath Bryant Park, and then send the remaining 1.2 million books to an off-site location in New Jersey. 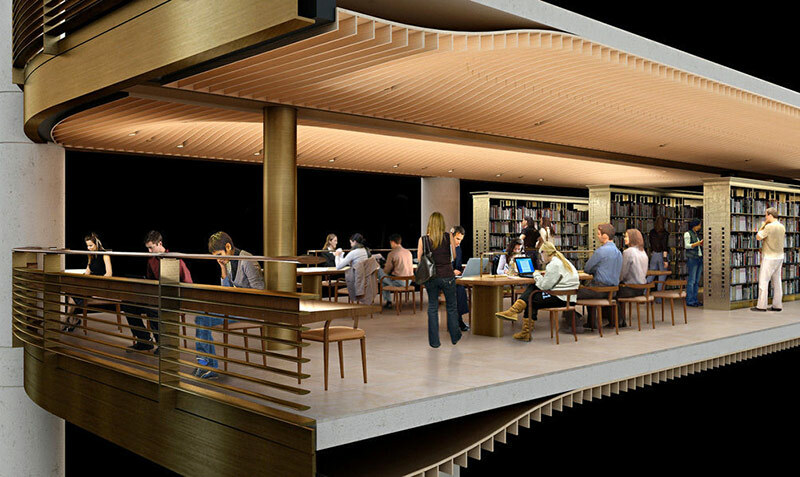 The newly renovated NYPL building on 42nd would then house the collections from the Mid-Manhattan Library and the Innovative Science, Industry, and Business Library.